The Villas Bali Hotel and Spa is a gay friendly slice of paradise located in the heart of Seminyak, Southwest Bali. 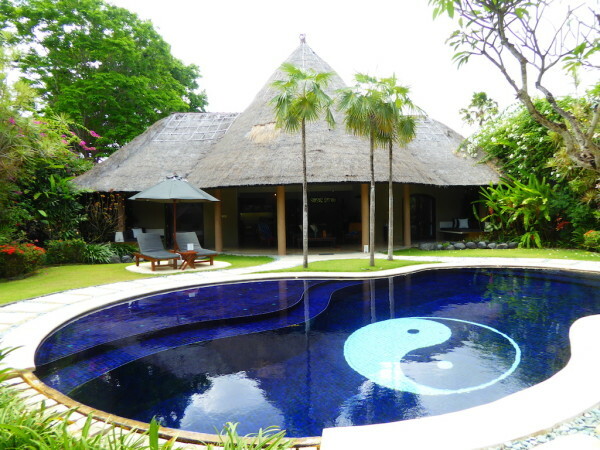 It was the first hotel to establish the villa concept in Bali in 1998 and has been going strong ever since. The villas are ideal for couples wanting a romantic stay in Seminyak, or a group of friends travelling together. Each villa is completely private with its own pool, large outdoor garden area and with all the advantages of a fully serviced hotel. The Villas Bali Hotel and Spa is located in the heart of Seminyak, close to the popular gay bars, Mixwell and Bali Joe on Jalan Camplung Tanduk road and a 15 minutes walk away from the famous beach of Seminyak. 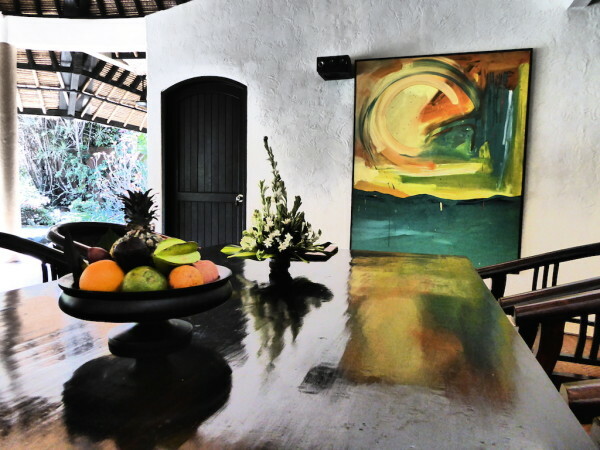 We stayed in a 600 squared metres 3 bedroom villa with a huge swimming pool and a beautiful tropical garden. During our 3 days in Seminyak, this villa was our romantic paradise, away from all the madness outside. It was such a pleasure to walk into our little luxurious heaven after a night out…all of this just for us! The stunning architecture of the villas are designed in traditional Balinese style, developed from Hindu influences. This includes the unique thatched roofs, lots of open space with a spacious courtyard with many small pavilions. The interior has been furnished with a dark theme with matching furniture to complement the vast courtyard area. Each bedroom has a huge and comfortable king size bed with its balcony area. 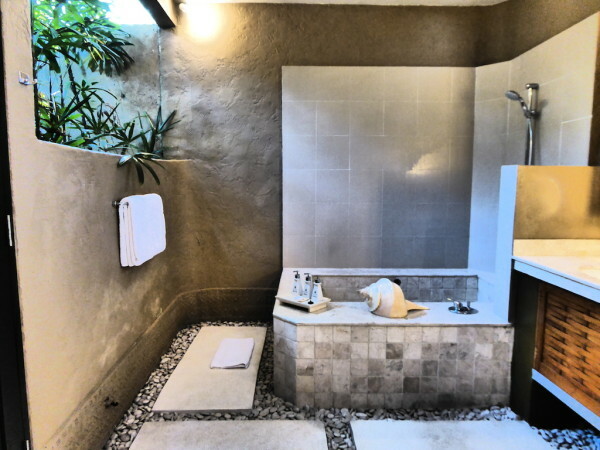 The bathroom is spacious featuring a beautiful stone bathtub, perfect for relaxing after a day of crazy shopping around Bali. 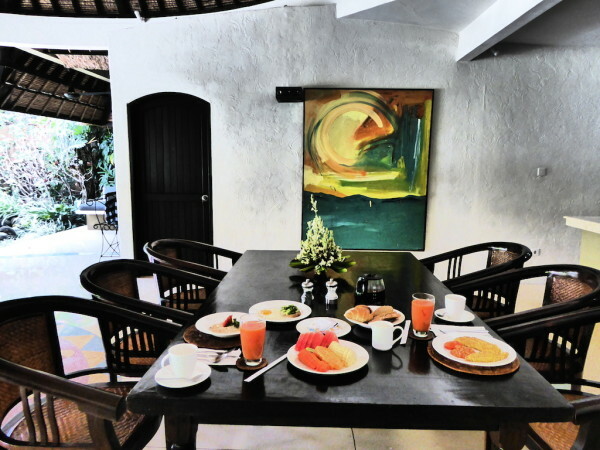 One of our favourite moments at the Villas, was not having to go to a restaurant to get breakfast. Instead, a very friendly cook would come in the morning and prepare a delicious and very healthy breakfast. You can also order in-villa dining or organise a barbecue with ultra fresh seafood and have a barman prepare amazing cocktails by the pool. There are no fewer then 2 spas based right here, both of which are excellent. The Prana is an award winning spa, and Indonesia's Leading Spa since 2012 by the Indonesia Travel and Tourism Awards. We had the 2 hours Mystique Massage, one of the best massage experiences we've ever had. The Mystique Massage included a traditional Balinese oil massage followed by our skin being polished by herbal, aromatic spices of the lulur body scrub. Our skin was then moisturised with a cooling yogurt for conditioning and the experience concluded with a bath of rose petals and Frangipani flowers. A true indulgence for any couple to experience! 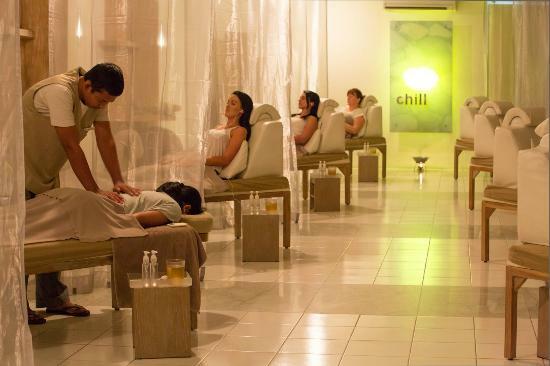 Chill Reflexology is the second spa at the Villas Bali Hotel. It's a more simplistic spa experience, offering acupuncture pressure and reflexology treatments, in a communal style area. We experienced The Ultimate Chill, focusing on pressure points on our back, legs, arms and feet. They use lotion in place of oils which means you do not need to wash afterwards. 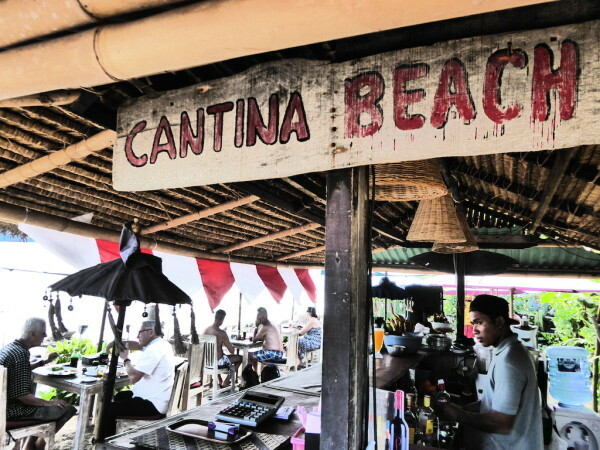 The gay bars of Bali along Jalan Camplung Tanduk road are walking distance away. Check out Mixwell or Bali Joe which have excellent drag shows every evening. Bambu: is highly rated and was the #1 restaurant in the area as rated by Tripadvisor (they also have excellent cocktails). Merah Putih: is well rated for good Indonesian food. 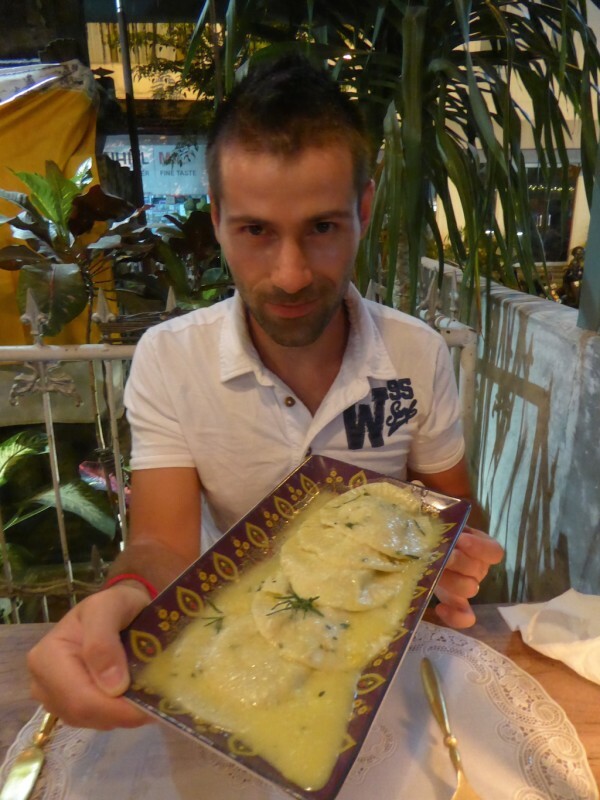 Rolling Fork: is Italian owned and offers delicious hearty Italian food. The Villas Bali Hotel is based near the Cantina gay beach and is a great place to soak up some sunshine and watch the evening sunset. To book your romantic Villa experience at the Villas Bali Hotel and Spa, check out their listing on Booking.com. Note that the hotel is now called “Impiana Private Villas Seminyak”.